This is the KO Propo RSx3 Power H.C. High-Torque, High-Voltage, Digital Servo. Current servos are being pushed to the limits with high specs and high power LiPo batteries. This creates huge demands on the servo. 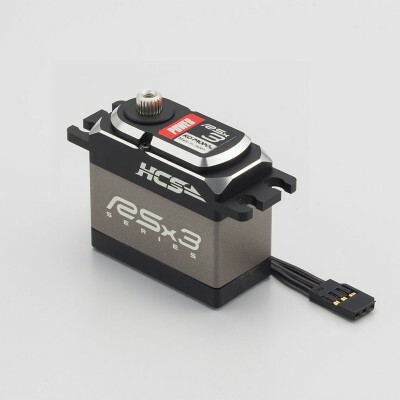 The RSx is the racing servo with the durability and performance to employ high-spec demand. Updated Aluminum Top Case : The case is machined after anodizing, creating a sharp design and beautiful edge line of the case. By shaving off the inside of the case to extremity, while securing sufficient strength, the case is made lighter than the former aluminum case. The black wire servo leads with cool appearance provides suitable softness for installation, while securing necessary current capacity. HCS Compatible : HCS (High-speed Communcation System) is the new high speed communication system between the receiver to the servo. The HCS mode shortens communication time of the signal which is compressed. HCS compatible servos change the mode automatically by the signal from the receiver. HCS compatible servos can be used with all receivers; but if you want to use HCS, you must use HCS compatible servos with a HCS compatible receiver. Case: The middle case is machined from one piece of aluminum that incorporates the gear pins and motor being held properly in place. The top case rigidity has been improved with the addition of two screws in the middle to prevent flex and keep the gears properly aligned. The upper Hard Case (H.C) is also machined from aluminum. H.C is the distinction of durability for categories that demand high stress. Motor: A servo motor is a very important part of a servo. The specification of a servo is up to the motor being used. We have developed a new motor suitable for the new R/C standard with numerous performance and stress tests. Gears: The gears are made with a special Japanese aluminum. This gear is 45% lighter than brass and has the same hardness as steel. The ‘Light Weight’ design provides a clean response for driving and reduces the burden on the servo motor. The thorough quality control of the manufactured gears ensures the least amount of backlash possible for smooth action. And Power and Power H.C. use Special Stainless Gear. 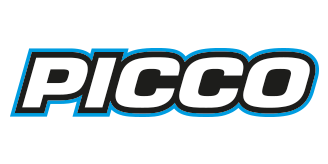 It is very strong and useful for off-road category.